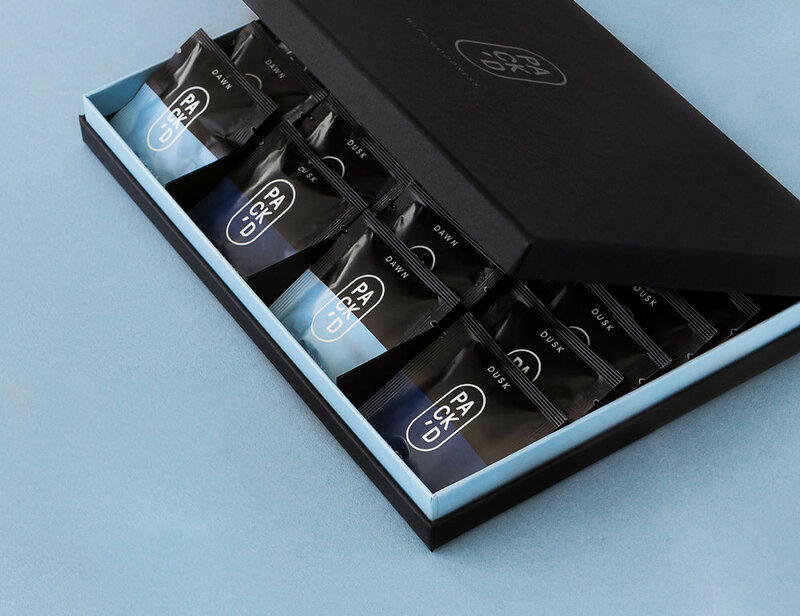 Davy Dooms Graphic & Brand Design created this sleek and modern packaging for PACK’D, a pre-packed supplement brand that aims to help keep you on track to take your daily vitamins. “In a world that is passionate about lifestyle and health, it can be overwhelming to pick the right nutrients. Where do you even start? 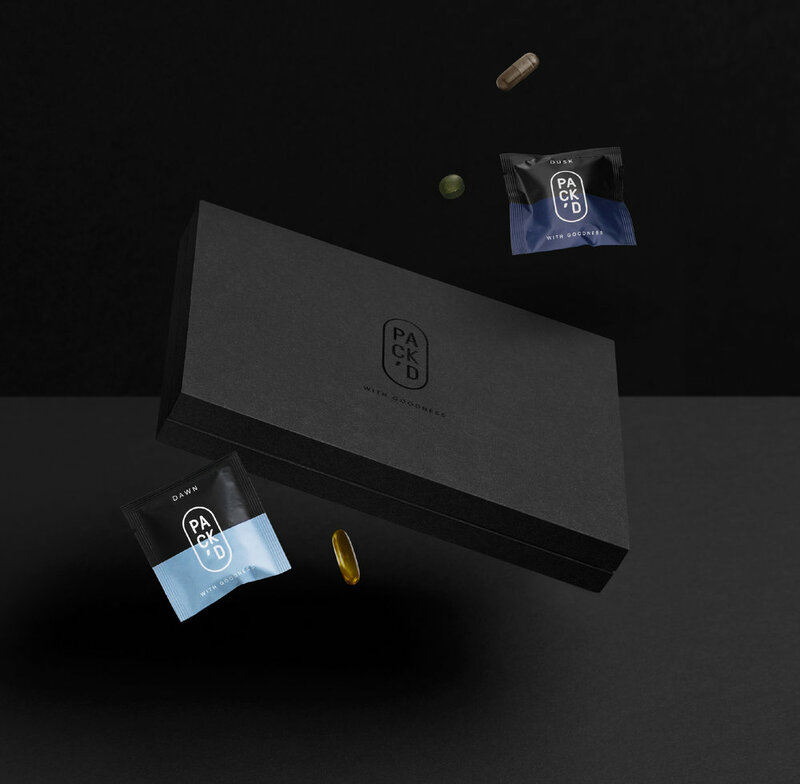 “The brand mark refers to the well-known shape of supplement capsules with the typography literally packed within it. Both daily packs are designed using a distinctive and recognisable colour coding that symbolizes dusk and dawn. These soft tones are elegantly combined with black to get your mind and body at ease. All packs come in a black papercraft box finished with black foil embossing to achieve a distinguised look.